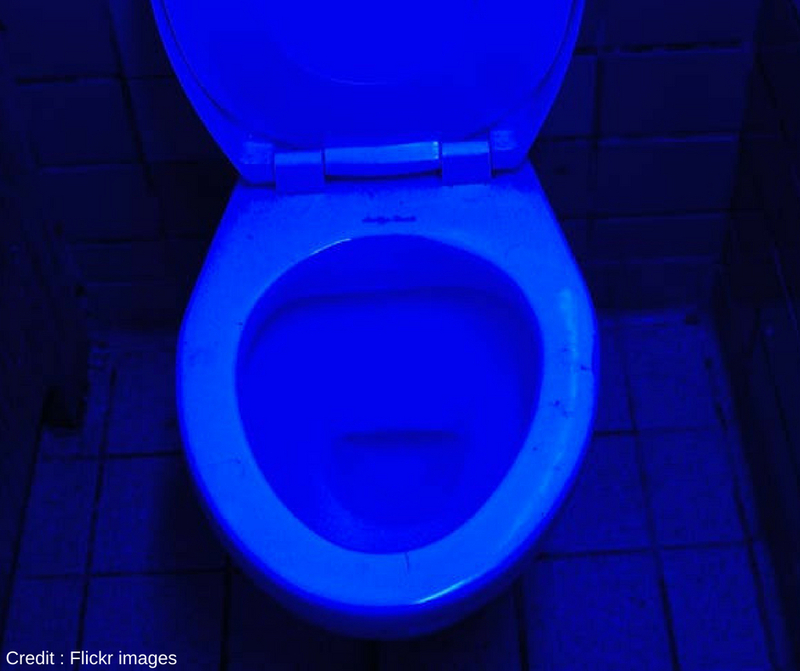 Blue Light Special : Discouraging Bathroom Drug Use or Damaging? To deter intravenous drug users from shooting up and potentially overdosing in public retail bathrooms, a chain of mini marts have began testing blue lights in their bathrooms. Turkey Hill Minit Markets. A chain with over 250 locations in Pennsylvania have teamed up with University of Florida’s Loss Prevention Research Council after a study showed that blue lit washrooms made injecting drugs more difficult. Fluorescent blue lights generally make injection harder because it makes blue veins less visible, a natural and simple aversion to try and keep public bathrooms from being an addicts go to injection site. The study showed while it made it difficult it wasn’t impossible, and sometimes led to injections becoming potentially dangerous, and it didn’t deter everyone from using. Evidence suggested the light would not be enough of a discouragement to make any noticeable difference in reported illicit bathroom use and possibly cause more injuries while in the process. Yet with this knowledge people who are aware of these poor results, they are reluctant to advocate against their use. Harm reduction is more efficient when addicts are exposed to needle exchange programs or treatment options, and their chances for recovery only increase. Pennsylvania has seen it’s fair share of distressing bathroom scenes, from employees at Turkey Hill Minit Markets finding used heroin needles and slumped over drug users, some no longer alive. But despite the study results, Matt Dorgan, the chain’s asset protection manager, told the AP the lights have been highly effective at the locations where they have been deployed. What are the most Dangerous Substances Around the World?